Cosy Chalet styled Holiday Home with 6 bedrooms (14 beds). Large Dining & Lounge area with Internet International TV...ideal for familes and groups. Great Location to host birthday parties and private functions. Well equipped large kitchen. Free W-LAN & Car parking spaces. 4 showers 5 Toilets. 1 Bath. Perfect Location, Only 200m from the new Skilift "Portal" Churwalden that accesses the whole Arosa Lenzerheide Ski & Mountainbike region...and Worlds Longest Rodelbahn. Ski In Ski Out, ski to the back door from the Piste in December, January February, possibly March. Only 30 meters from outdoor heated swimming pool and Tennis Courts, June, July August. Children friendly with close proximity to beginners ski lift and kids swimming pool in Summer. Migros and Post Bus stop opposite and two minute walk to the Cooop supermarket. Manager lives in a separate attic appartment in Winter. Visitor's tax: per person and day Costs amounting to 2.65 CHF (Mandatory). 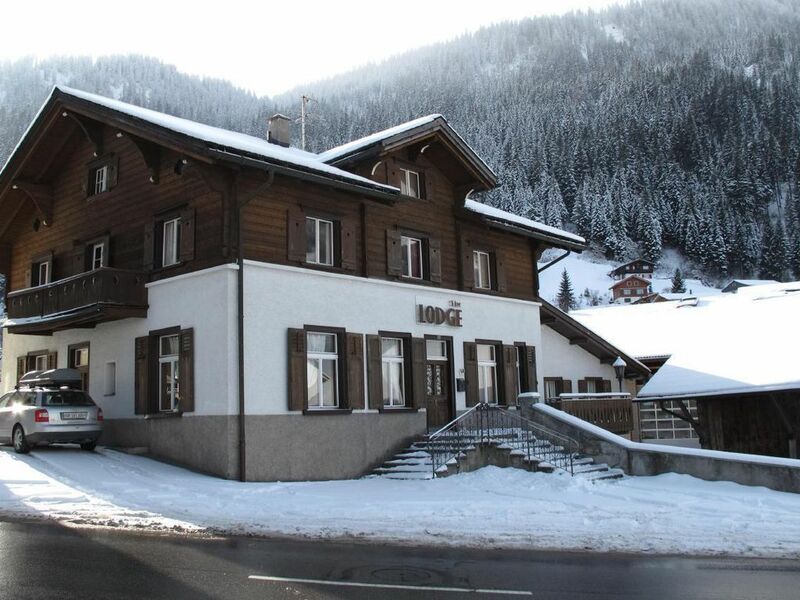 The Lodge is located at 1240m in the village of Churwalden. 200m from the ski lifts Portal in Churwalden and 2 mins from the local outdoor swimming pool and Tennis Courts. Stunning Alpine scenery all around, mountains and forests.